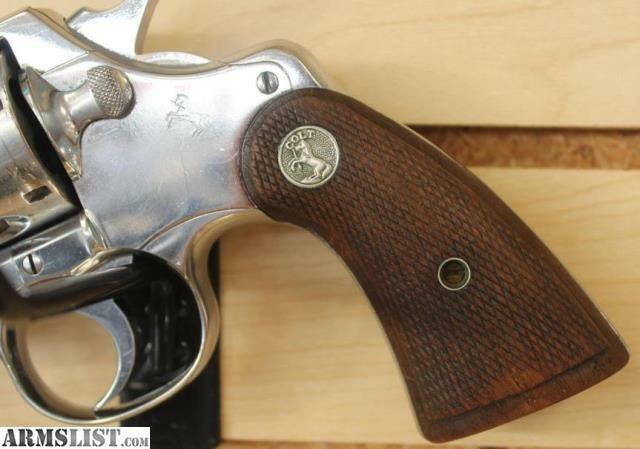 Up for sale here is a very cool Colt police 38. 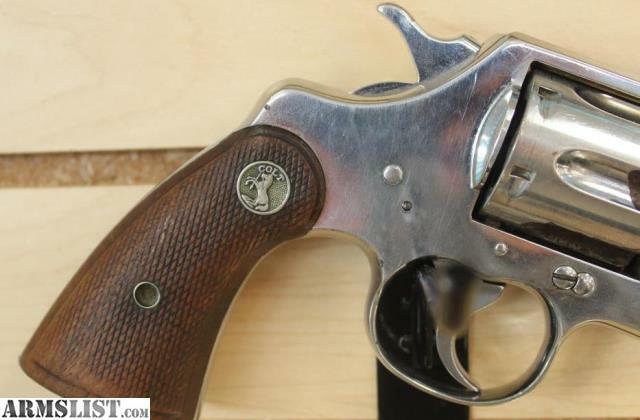 This .38 revolver was actual police issued in St. Louis Police Department. 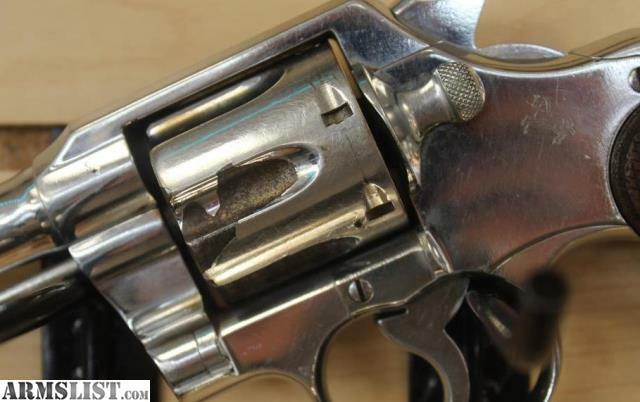 The revolver is nickel plated and does show signs of the plating flaking off. Mainly on the cylinder. 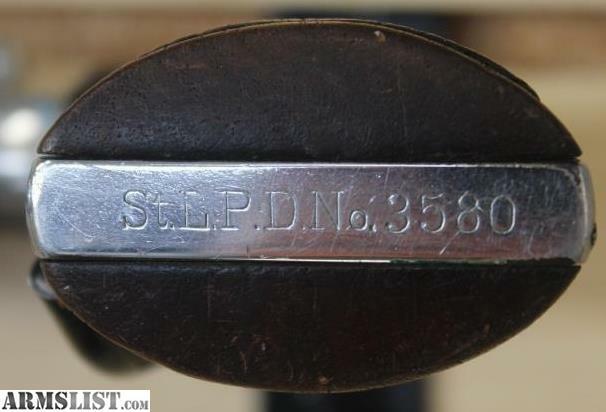 The serial number puts this manufactured is 1927. 5” barrel.